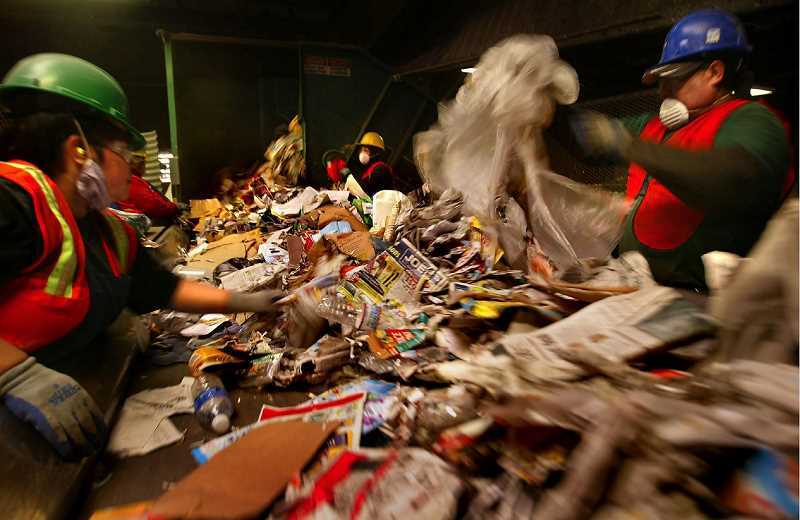 There are two main ways we can ruin recycling, writes editor Leslie Pugmire Hole. There's a serious irony to the reality of residents of Portland metro cities — where sustainability is nearly a religion — depositing non-recyclable items in their colorful bins in such volume that they render entire truckloads unsalable in the recycling market. Dubbed "wishful recycling" by those in the industry, the practice is born from a good place — trying to save the planet by keeping as much trash out of the landfill as possible. Rather than using another popular industry mantra — "when in doubt, leave it out" — folks are erring on the side of less caution and contaminating boatloads of perfectly usable recycled materials. Adding to the confusion is the spectrum of what is accepted where and keeping track of it all. Your home disposal service may take washed aluminum foil but your workplace service does not. And your in-laws' disposal service will accept napkins in the kitchen compost, but at your best friend's house, they don't allow food of any kind in garden debris bins. People dedicated to the mission of recycling need to take responsibility for doing it in such a way as to ensure the items are actually recycled once leaving their home bin, according to the regional government Metro. Trying to recycle things with no resale market drives up the cost for everyone. There are two main ways we can ruin recycling. The first is by correctly identifying recyclable materials but unsatisfactorily preparing them. Anything that comes into contact with food needs to be thoroughly washed and dried, a step most of us leave out. This means washing out the last of the peanut butter in the jar, rinsing the tomato soup out of the coated carton and tossing the foil in the trash if we can't get the dried-on pot roast off. A few disposal services will accept food-contaminated paper goods — paper towels, pizza boxes, napkins and the like — in the compost bins. But just as many do not accept these items anywhere. The next way we trip ourselves up is by not understanding, or not bothering to find out, what items are really recyclable — so we toss them in just in case. Understanding why some items are not accepted goes a long way to making that choice. Paper manufactured to resist breaking down when exposed to moisture, items like frozen food boxes and disposable coffee cups, are rarely recyclable. 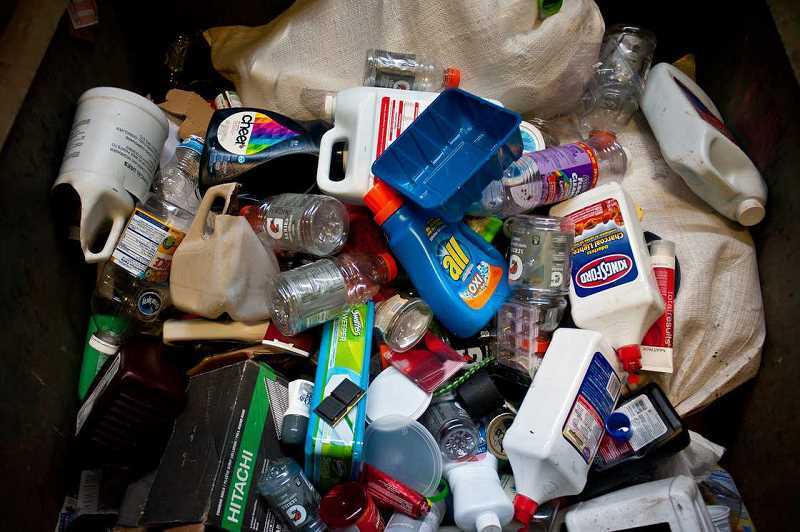 Small items like caps from soda and beer bottles, lids from yogurt containers, and plastic grocery sacks are not allowed in the mixed recycling bins because they jam sorting machines. And broken glass is a hazard for workers. The biggest reason not everything made of paper, glass or plastic is recyclable is because there is not market for resale. Our disposal companies need to find sources interested in taking their tons of sorted and (hopefully) uncontaminated materials, and they'll only do that if it's cost-effective for them to do so. 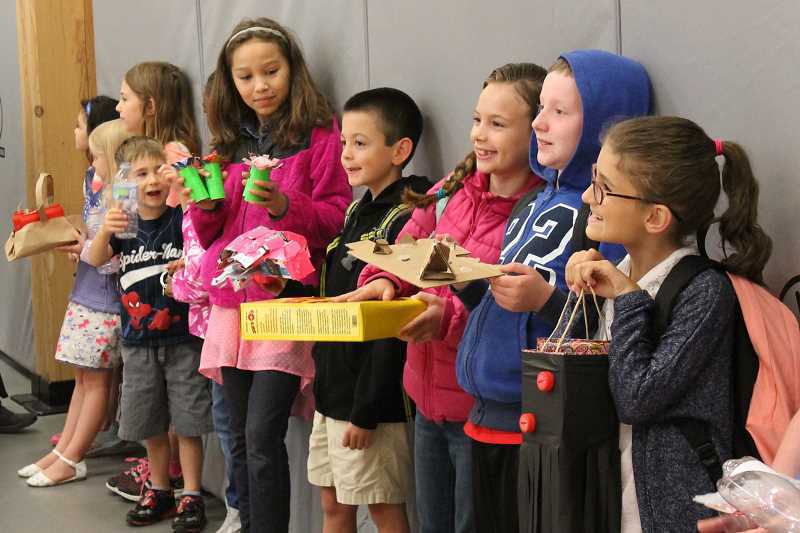 Committing to doing a better job of emptying and cleaning our recyclable items is one thing, but how do we keep track of what to put in our curbside bins in the first place? The simplest solution is to go to the website for your waste disposal provider because every company has slight variations. Call Metro at 503-234-3000 to find out what you can recycle and where you might be able to bring non-curbside materials in the metro area. Beginning Jan. 1 Oregon's Bottle Bill will ensure many beverage bottles previously ending up in the landfill are recycled. The expansion adds coffee, cider, juice, sports drinks and tea beverages between 4 ounces and 1.5 liters to the 10 cent-redemption class of returnable bottles. The only exceptions will be dairy beverages (including infant formula), wine, distilled liquor and plant-based "milks." The expansion of the Bottle Bill, including the increase for per-container deposits, was prompted by a declining number of redeemed bottles and cans over the last five years. Leslie Pugmire Hole is the editor of the West Linn Tidings and the Wilsonville Spokesman, sister papers of The Outlook.